We manufacture secondary glazing in our Norwich based factory, supplying Nationwide and installing within most areas of East Anglia. Our secondary glazing is a light weight, slim-line aluminium system which can be fitted in addition to your existing windows, whether they be single glazed or double glazed, plastic, timber or aluminium, in order to provide increased sound reduction, thermal insulation and security. Our range of secondary glazing is supplied fully assembled and glazed, and is available in white, brown or any RAL colour. It is suitable for all types of buildings, including domestic homes, commercial buildings, schools, hotels, offices and provides a solution for listed buildings, period properties and houses in conservation areas where window replacement is not an option. Part of UA Glass Ltd, Norfolk’s leading glass specialists, manufacturing all aspects of flat glass from double glazed sealed units to shelves and mirrors, and coloured glass splashbacks to shower screens. Visit www.uaglass.co.uk for more information. 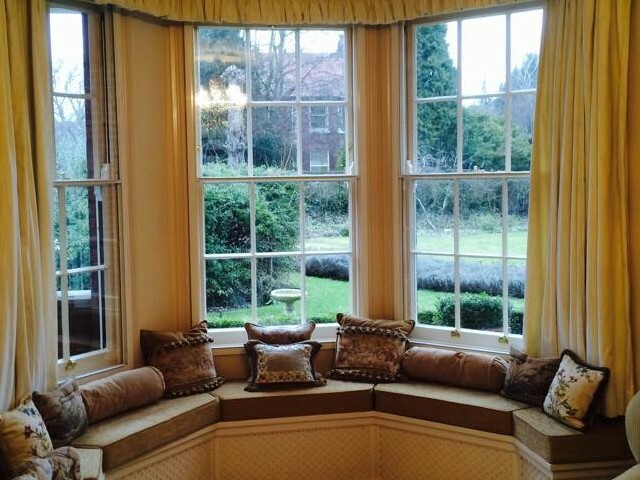 Discover all the benefits of secondary glazing.